Create Your Own Travel Website free in 5minutes. 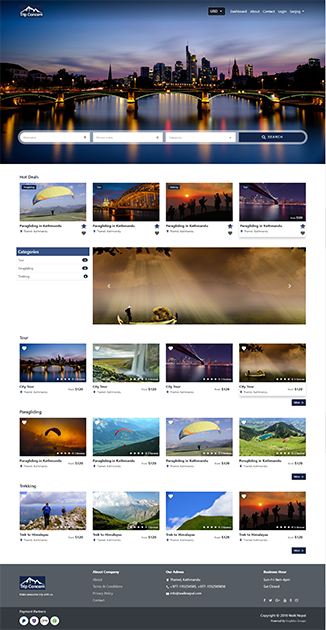 Create an amazing travel website with Goglides in just 3 simple steps. It's that simple. Signup.Create.Sale, Let Goglides help increase your sales. Give your website the perfect home. 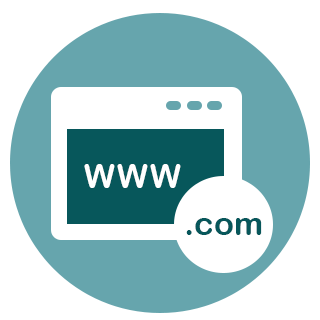 Get a free goglides.com domain or point a custom domain with just a few clicks. That wonderful feeling - you start the engine and your adventure begins. Our package information, pictures, ratings, reviews, filters and other features are all available to help our users to get their best package. We create experiences that makes you smile, increase your heart beat and bring you a smooth, hassle-free experience from start to finish. Signup to Goglides Store Profile. 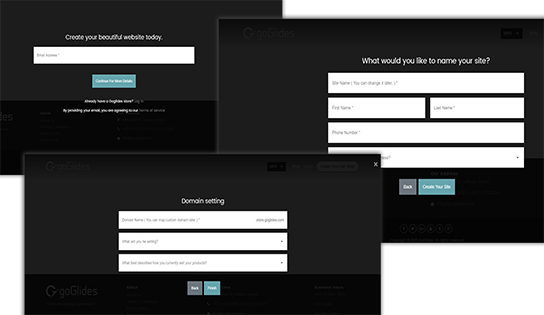 Choose your site name and complete all the required fields. Verify Email and update business profile. Your website looks perfect on every device - whether it’s a phone, tablet, or computer. Worry about coding? Goglides does all the work behind the scenes for you, so you don’t need to worry about learning to code. Not an SEO expert? No problem. Goglides helps your SEO ranking with automatic search engine optimization. Goglides comes integrated payment gateway with PayPal, Khalti wallet, and cash on delivery for accepting payments. Worry about low sales? Goglides help you to maximize your sales by choosing the right combination of digital tools. Goglides brings you the built in image manager with image optimization and SEO.